With the school year well underway and the grilling season coming to an end over the next weeks, I figured I better stock piling my crock pot recipes. So, I thought I would share some of my personal favorites along with some I have snagged from a few of my favorite bloggy pals. We love Mexican food, and these pork fajitas will be tasty this fall. Italian Beef is another favorite in our house too. But my friends, they too have yummy crock pot recipes. Like My friend Katie’s, over at Pinke Post, chicken wild rice soup. I think many of us have also tried our hand at crock pot lasagna, including Lana over Walking the Off-Beaten Path. In my opinion the cheese dip that Heather over at 3 kids and lots of pigs makes is a complete meal for my family! Over at a Latte with Ott, A, there is a holiday pork loin that I cannot wait to try. But nothing beats shredded meat. Checkout this savory chicken from Going Jane. But, so does this zippy pork from my gal pal, Cris over at Goodeness Gracious. 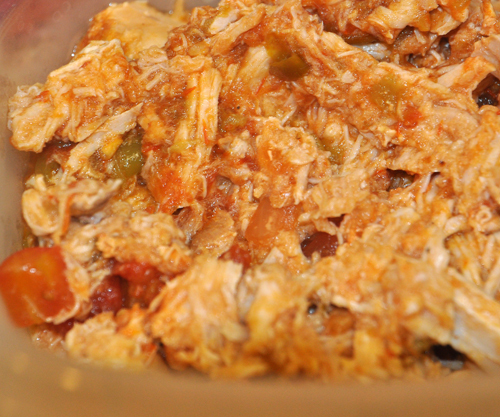 So, what great crock pot recipes do you have in your recipe book? Or even your meat recipes, link them on up. I can’t wait to try them! We are fans of the Italian beef around here. Great recipe and my kids love it. Thanks for the great run down of crockpot recipes and hosting this party again. Today I bring Meat Loaf Tater Tot Casserole, not crockpot, but a great freezer dish. Kids seem to be willing to eat this. Probably because of the Tater Tots. Have a wonderful week. Love the sausage cheese dip from Heather at 3 Kids…. (I gave it to her). It is always a family favorite at our house. The spicier the sausage the better!! Stopping by from Mouthwatering Mondays!